Research paper presentations can be based on research findings, research case studies, executive interviews, or in-depth perspectives on conceptual frameworks for analysis. Each presenter is given 20 minutes within a presentation session. Sessions are guided by a Moderator. Complete manuscripts associated with paper presentations may be entered into the Best Paper competition. These manuscripts will undergo a comprehensive, double-blind, peer review overseen by the editors of the International Food & Agribusiness Management Review. For more information see 2015 Best Paper Competition. Poster presentations will be displayed by theme facilitating interaction between authors and interested symposium participants. Poster display space will be provided in a prominent location during the Symposium and Forum and highlighted during a research poster luncheon. Posters are also eligible for competitive awards including best research presented as a poster, best student research poster, and best research poster focused on the conference theme or a Hot Topic listed below. Teaching cases should be directed to a broad audience of professionals interested in developing effective agribusiness cases and using them as learning tools, as well as those interested in the specific case topics being discussed. The Symposium will showcase up to four cases that utilize the Harvard -Style teaching case method. Sessions including teaching cases are meant to increase symposium participants’ interest in writing cases and using case studies. For additional information see Call for Harvard Style Teaching Cases. The Role of Technology in Food Security. A lack of clear policies limits the adoption of new technology. For example a lack of scientific based regulatory policies inhibit growth in many developing countries; the US has not kept pace with world growth in marine aquaculture due to the lack of policy and regulatory framework; a lack of investment in agricultural development and rural infrastructure inhibits a farmer’s ability to get harvest and livestock to markets . (See also- The Role of Technology in Agriculture). Agribusiness Education in the 21st Century: The role of technology in agriculture is changing rapidly—from agronomy to Big Data. Many issues exist around the supply chain. A broader education and talent pool is needed. Should industry play a role in education? How are universities worldwide preparing students to fill the gap? Entrepreneurship in Agricultural Innovation: Financing and Mentoring. What makes a successful team and how is agricultural innovation different from other entrepreneurial innovation? What activities enhance the probability of success? Are hard or soft investment models more effective? How can incentives and innovation prizes be used? Food Loss and Waste: The FAO estimates about one third of all food produced for human consumption is thrown away or lost worldwide –approximately 1.3 billion tons per year. Yet, one out of eight people worldwide are starving. Less than one fourth of the food currently lost worldwide would suffice to feed these human beings. Initiatives cover a wide range of sectors – private businesses, universities, and nonprofit organizations – and illustrate the extent to which collaboration is the key to change. Climate Smart Agriculture. To ensure a food-secure future, farming must become climate resilient. Around the world, governments and communities are adopting innovations that are reducing agriculture’s climate footprint and can serve as an inspiration and model for local strategies, future policies and investments. Investing in Agribusiness. Building upon topics presented from the last several IFAMA conferences, what are the conditions for successful investments in Africa? Share other successful investment models from your home country including: China, India, South America. Deadline to Submit abstracts of posters, papers and case studies: November 30, 2014. Your acceptance letter will indicate whether the work will be included in a poster session, a paper session, or a Harvard-Style case session. If your proposal is not accepted in a paper session, you may be invited to showcase your research as a poster. Subsequent to acceptance of the abstract, completed journal quality papers will also be considered for the Best Paper Award. A selected paper presentation provides the author(s) a formal opportunity to share their research results and ideas with IFAMA participants in a small group setting. The poster sessions are likewise based on substantive research. To determine the quality of the research contribution, the selection of presentations and posters will be based on peer review of an extended abstract describing the research. Authors’ preferences for presentation as a paper or poster. Teaching cases are written to stimulate classroom discussion. They should be on a topic that is important to managers; be written from the perspective of a specified protagonist (manager/decision maker); have a distinct decision point; and include pertinent background information and a teaching note. The Symposium Evaluation Committee consists of the Symposium Co-chair(s), the Case Conference Chair and Co-Chairs, and selected reviewers from IFAMA membership. They will review the abstracts and communicate a decision as to whether the paper, poster, or case study is accepted for presentation in Minneapolis. IFAMR editors will notify authors of being selected as a Best Paper finalist by April 15, 2015. Growth Figures for Africa and the availability of arable land, water and sunlight have places the spotlight squarely on Africa for potential future agricultural production. The way to optimise agricultural production in Africa to meet growing word food demands was the topic for one of the panel discussions at the Food and Agricultural Management and CCA Agribusiness & Food World Forum Conference currently underway (15 to 19 June) at the Cape Town International Convention Centre. The debate was whether development should follow the current small farmer route (David), the large-scale agribusiness development route (Goliath) or perhaps a combination of the two. Antoin Ducastel, CIRAD Research Fellow, University of Pretoria. Africa has been estimated to have a potential 200 million hectares of arable land but more realistically this is somewhere between 80 and 160 million. The arable land is mostly in a handful of countries in Sub Saharan Africa, mainly in the DRC, Congo, Mozambique, Zambia and Angola. About two thirds of this is currently virgin forest land and this cannot be cleared without massive negative environmental impacts. Some of the land listed as arable land does not have enough water for effective farming. Land usage across the continent varies considerable according to the local resources and as a result 1% of the landmass carries 16% of the people and 20% of the land carries 67% of the population. A study in Kenya showed that there is a trend for some smaller farmers to acquire surrounding land and consolidate their farms to be larger units, thus scaling up from small scale farmers (1-2ha) to medium (10ha) and large (30 or more ha) scale farming. Some of these are people who have inherited land from their families and others are businessmen or civil servants that have bought land. Although there are projections about these vast resources of arable land, there are frequent and often violent conflicts between people throughout about land ownership. This is because population growth has led to the shrinking size of farms and in many cases farms have become too small to sustain families. East Africa and then Southern Africa are the two regions on the continent most affected by large scale planned land acquisitions. Other areas of specific focus are the Nile and Niger River basins. The primary investors are mainly form western countries followed by emerging and Middle Eastern markets. The land deals propose to use the land mostly for agriculture and forestry. Although there are a significant number of land deals that are reported to be in process, a number have failed and the vast majority have been pending for many months (some for years) and have not been concluded. Of the total of 100% propose land deals during the past few years, only 1.7% of this land has been successfully bought and been developed. As land ownership throughout much of rural Africa is fragmented into small parcels of land owned by many small farmers, acquiring portions of land large enough for development by agribusinesses is very difficult. Security of tenure is also a concern as foreign nationals and companies investing in land run the risk of losing the land due to political instability, government intervention or nationalization. Despite the issue of land ownership the trend towards the establishment of large agribusinesses is gaining momentum in some African countries such as Zambia where the government is making large uninterrupted tracts of land available for development. One of the agricultural models that have the potential for growth and future success is the outgrower scheme. This is where small farmers are provided with the resources (seed and fertilizer) that they need and grow the product for delivery to a big agribusiness that buys their product from them. This can assist small farmers to increase both their yield and income and possibly assist them to expand their farming operations as well. The increasing demands placed on farmers to provide food safe products to retailers create a considerable challenge for small-scale farmers to enter the retail market. 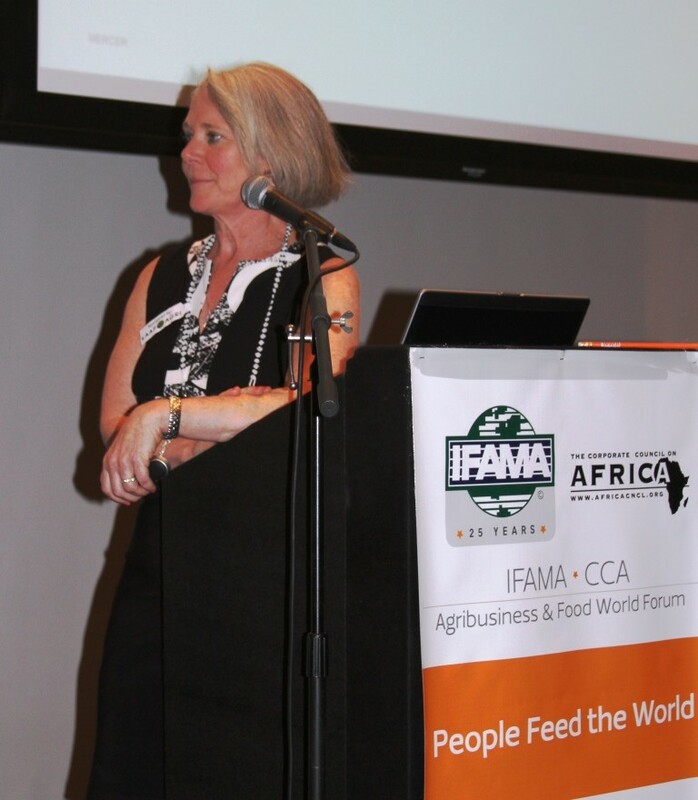 This was the topic for one of the panel discussions at the Food and Agricultural Management and CCA Agribusiness & Food World Forum Conference currently underway (15 to 19 June) at the Cape Town International Convention Centre. The session was hosted by GlobalGAP, which has introduced their first country-wide program integrating small-scale farmers into national retailer supply chains. The moderator for the session was Kristian Moeller, the Managing Director of GlobalGAP. Sue Chuzu Musunga, Marketing and Communications Manager/Director, AGCO Zambia Ltd.
Catherine Constantinides, Tutu Fellow, Director and Founder, Miss Earth South Africa. Consumers are becoming more demanding and there is an increasing awareness about food safety. When consumers shop in a supermarket they should not have to be worried about food safety as it is the responsibility of the retailer to ensure that food safety is in place. Thus in turn it is the job of the retailer to ensure that the produce they sell is indeed safe, therefor retailers now require suppliers to comply with food safety compliance systems and good agricultural practices (GAP) such as GlobalGAP and LocalGAP to ensure food safety. This creates a hurdle for emerging small farmers who might not be up to the standard to comply with GlobalGAP standards. To assist with this, GlobalGAP has developed a system called LocalGAP, which is a more affordable solution for these producers and provides and entry level GAP certification. This also works for the retailers as it allows them to gain access to good quality food and support emerging farmers. The South African municipal wholesale markets see LocalGAP as a tool to promote GAP practices, support local farmers and promote access to markets. The Johannesburg market is the largest market in Africa and moves the largest volume of food daily. The market is changing and has introduced the “Project Rebirth” to assist small farmers to be able to supply markets successfully and to comply to the required regulations. Small scale farmers have a difficult time. Large commercial farmers have continuous support and extension and it follows that small-scale also need ongoing support as well as training in technical production and IT skills as well as financial management skills. Training for small farmers is far more effective if it is done where they are as this provides the opportunity of seeing exactly what their needs are. A good way to support the emerging farmers is to work through the country’s department of agriculture and assist with the training of the extension officers, thus training the trainers. Systems like LocalGAP and the Johannesburg Municipal Market’s Project Rebirth hold promise in helping small-scale farmers with their market access challenges. Hayes added that relationships between the USA and African countries were very important and admitted that the time had come that Africa was becoming more important to the USA than the USA was to Africa. The economy of Africa is projected to grow from $313 million to $1 Trillion in the foreseeable future, and the USA has taken note of this. 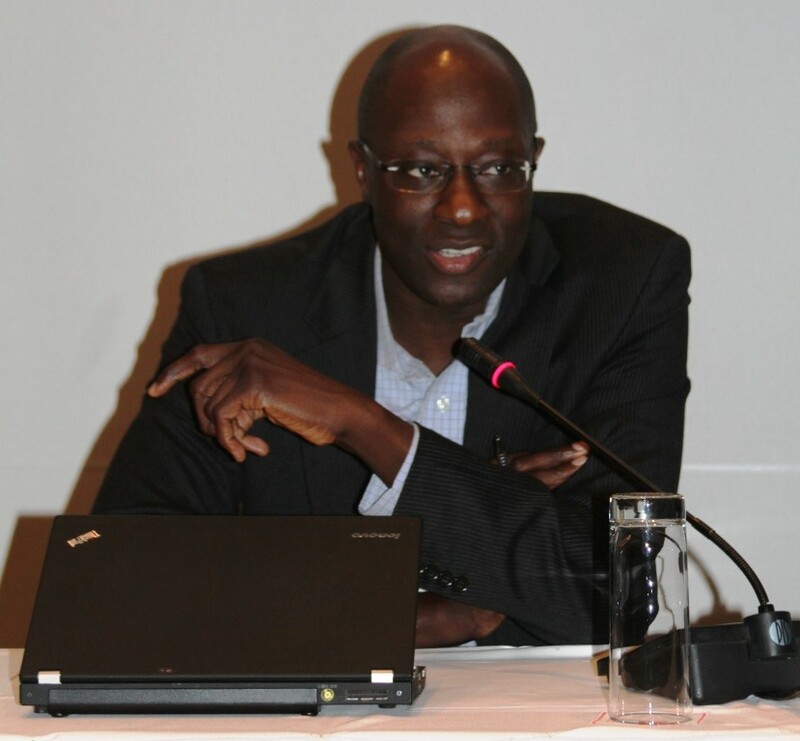 Hayes also pointed out that the African Union had declared 2014 the year of agribusiness and food security. The Corporate Council on Africa is a US non-profit, membership-based organisation that promotes business and investment between the USA and the nations of Africa and is the premier American organization devoted to U.S.-Africa business relations. The CCA is the only US organization that has MOU with the African Union. 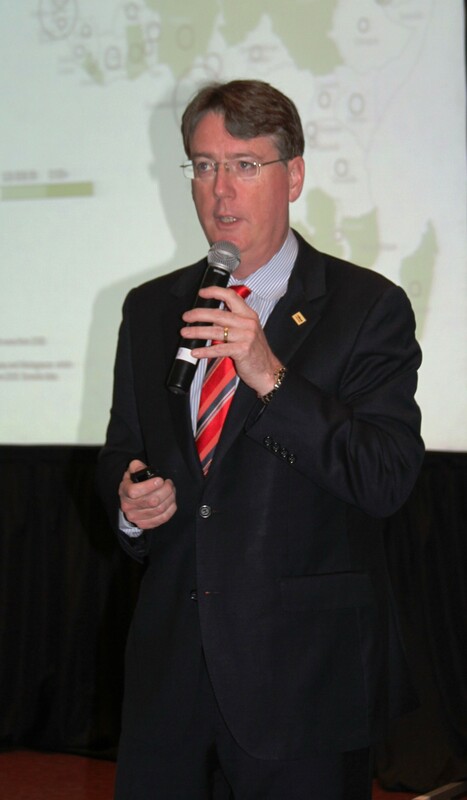 “People feed the world and you are part of the solution,” was the main message of the address by Thad Simons, President of board of IFAMA. 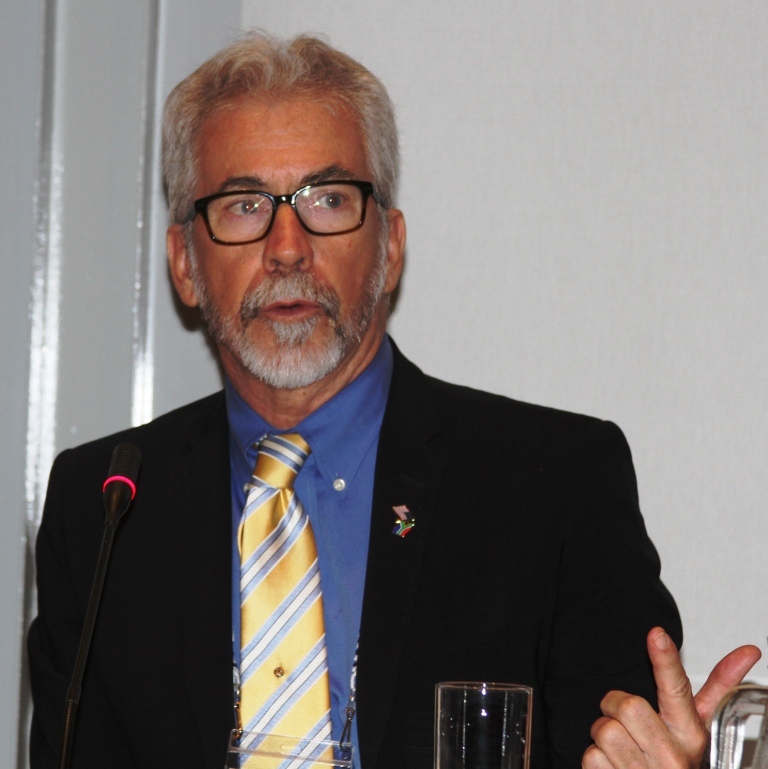 He explained that IFAMA was about people and about providing a forum for people across the board to enable agriculture and agribusinesses to feed the world’s population. 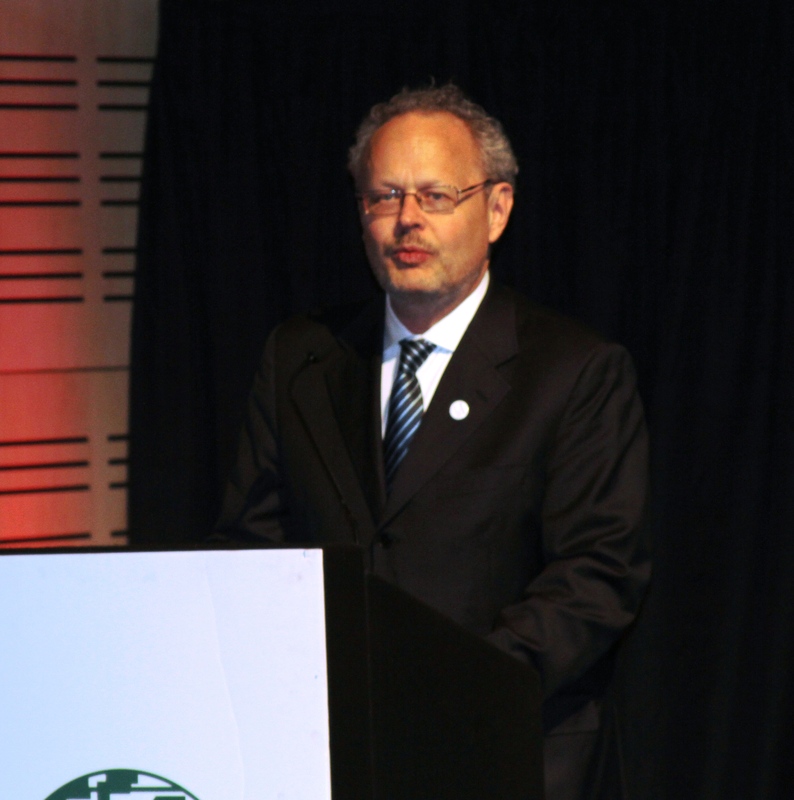 Simons also thanked the South African organising committee and the sponsors of the conference for making the conference possible. On the morning of Youth Day (16 June), Joyene Isaacs, Head of Department in the Western Cape Department of Agriculture spoke to high school learners and other young prospective entrants to the agricultural sector about the prospects and career opportunities offered by the sector. This was during a session of the International Food and Agribusiness Management Association Conference currently underway (15 to 19 June) at the CTICC in Cape Town. One of the strong themes of the current IFAMA conference is The Talent Factor, and this event saw IFAMA joining with this regional partner to celebrate the next generation of agribusiness leaders. The event also received sponsorship from the Western Cape Department of Agriculture. The session was attended by high school learners and featured a number of interactive activities, workshops, and dynamic young speakers working in the agricultural sector addressed the youngsters and young future farmers regarding pursuing a career in agribusiness. 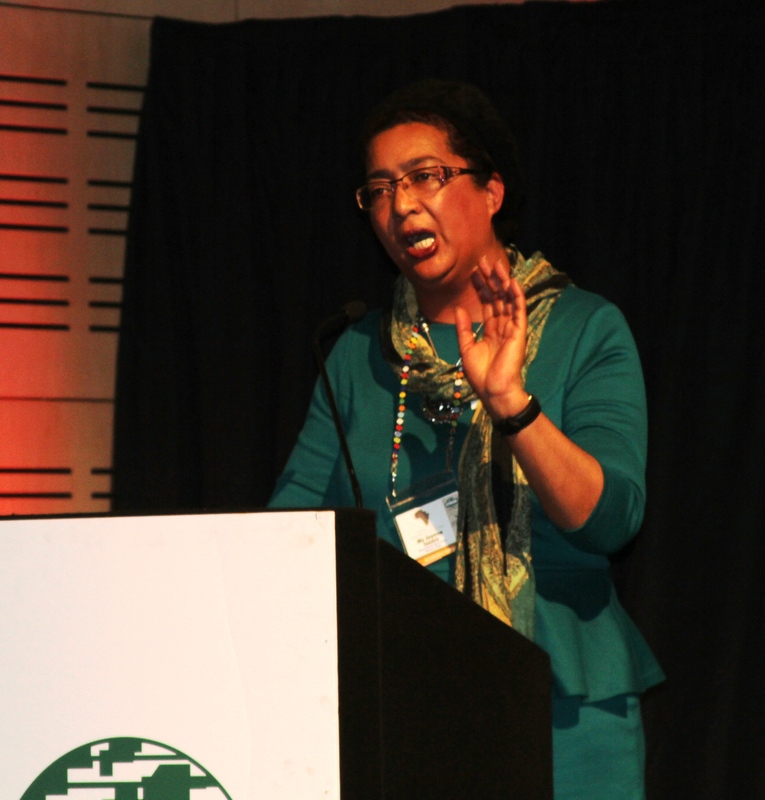 Western Head of the Department of Agriculture Joyene Isaacs was one of the key-note speakers at the Conference and was introduced to the delegates by Session Moderator Carol Brookens, MD, of Public Capital Advisors (US) as “The First Lady of Agriculture in the Western Cape.” Ms. Isaacs took the opportunity to share some of her observations from the Youth Day event and to emphasise the vital role of agriculture in the future. 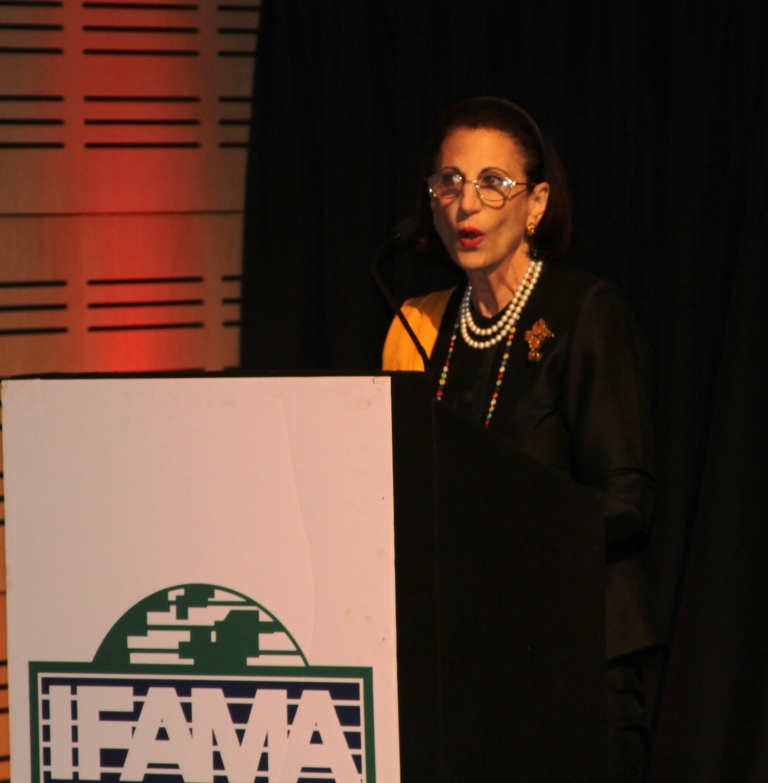 IFAMA has a review publication called the International Food and Agribusiness Management Review (IFAMR), which publishes high quality contributions on topics related to the practice of management in the food and agribusiness industry. A Special Issue of the publication featuring 24 case studies on Food and Agribusiness success in Africa, African Agribusiness on the Move was compiled and published in time for the current IFAMA conference currently underway (15 to 19 June) at the Cape Town International Convention Centre. The Review provides managers, researchers and teachers with a forum where they can publish and acquire research results, executive interviews, case studies and industry notes that are important to the global food chain. The conference included a session during which a number of the authors of these published cases delivered presentations to showcase these successful businesses to the delegates. The cases are widely diverse from all across the African continent and include studies of innovative businesses producing, amongst others, dried Marula fruit snacks in Botswana, shea production in Ghana, herb production in Kenya, honey production in Uganda, livestock production in Benin, Coffee production in Ethiopia and many more. What emerged clearly from the discussions is that throughout Africa there is a new class of entrepreneurs emerging with remarkably ingenious success stories in various agricultural and agribusiness sectors. Most of these businesses have developed from entrepreneurs seeing an opportunity and pursuing it, learning by the seat of their pants in the process. An example of this is that cellular technology is being used widely throughout Africa as a medium to transfer knowledge as the cellular coverage and access to cell phones is far more comprehensive in Africa than internet access. 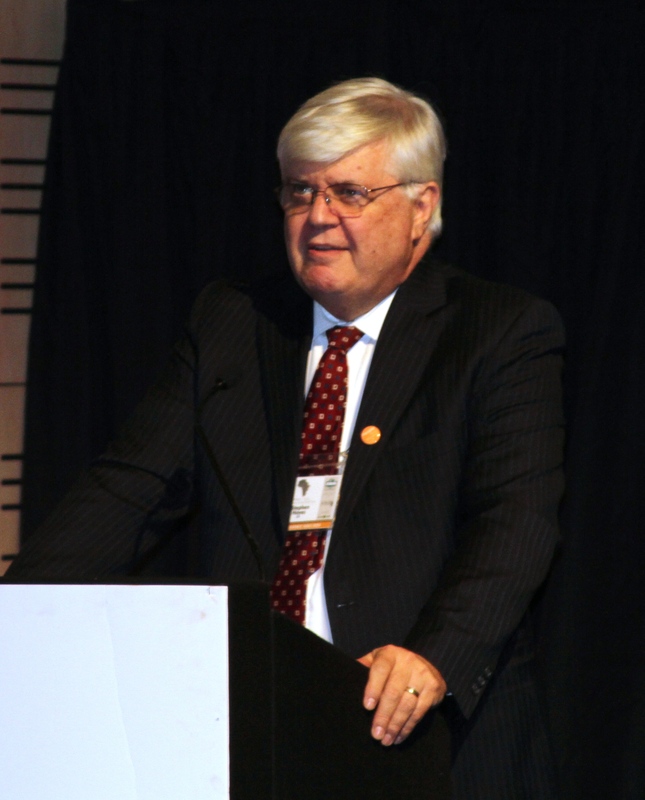 “Africa is experiencing a new gold rush except it is not in the mining sector it is in the Agriculture and Agribusiness sector,” remarked Aidan Connolly, Vice President of Alltech Inc. (Washington DC) and one of the editors of this publication during his introduction to the session. He added that 50% of the African Population is below 25 years old and 50% to 70% of the population rely on agriculture. Currently 6 of the 10 fastest growing countries in the World are in Africa. Viewed as a continent, Africa has the most remaining arable land of all continents. A significant challenge that was highlighted was that Africa has a lack of human capital which is now slowly starting to be addressed. University Business Schools in Africa are a relatively new phenomenon in most of Africa so this level of business training is now becoming available. It was also emphasized that African business schools should develop their own models not follow the standard Harvard type of business school models. Academic institutions should do more to foster entrepreneurship. For western businesses to start operations in Africa, instead of the usual “think big” mentality, they were advised and urged to start by “thinking small”. In an African context thinking small is pragmatic and will provide a platform for future growth. Politics often have a different agenda to agriculture and agribusiness and as a result Politics often poses a threat to entrepreneurial development as over regulation stifles entrepreneurship. A realistic problem in Africa is corruption. “For observers looking at Africa it is also important to remember that Africa is a continent with 64 countries and circumstances on the ground in various countries differ vastly,” said Mary Shelman, Director of the Harvard Agribusiness program. “There are certainly opportunities in Africa for development, but remember, Africa is not for Sissies,” said Edward Mabaya from Cornell University and a co-author of three of the studies. “The most important thing of our generation is to have grown up in this great African Story,” concluded Mandla Nkomo, Operations Director of Technoserv (South Africa) and co-editor of the African Agribusiness on the Move.